NSW: Q&A Smoke Alarms in Strata Units. Who Maintains the Battery? We recently received the following question about smoke alarms in strata units NSW. Peter Berney, Solutions in Engineering has provided the following response. Question: In NSW, who is responsible to ensure the smoke alarms in strata units are operational? Who’s responsibility is the cost of replacement and installation of new smoke detectors? Our strata committee regularly checks all our unit’s smoke detectors to ensure that they are still operative. I understand that this is a requirement under fire prevention legislation in NSW, and could also have a bearing on our strata’s property insurance. 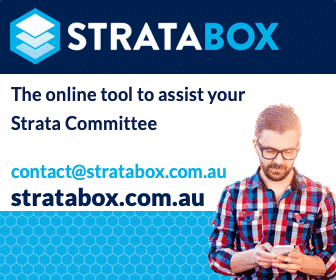 As our installed units have a replacement date of 2014 is our strata in breach of any NSW fire prevention guidelines, or is the strata’s fire insurance cover compromised? Answer: The Owners Corporation would not be in breach if an individual lot had not replaced their smoke alarm if it has passed its use by date and this would not affect the Owners Corporation’s Strata Insurance. There are provisions in the Environmental Planning and Assessment Regulation that require existing buildings to install smoke alarms, but they are only limited. There are specific requirements for each classification of a building, including the locations of the alarms, however, there is no requirement for photo-electric alarms, unlike that has been introduced as of the 1st January 2017 in Queensland. The responsibility for the replacement of the smoke alarm is that of the owner and any smoke alarms in the common property would be that of the Owners Corporation. The smoke alarms need to have supply from mains electricity or a non-removable battery with a minimum life expectancy of 10 years that is connected to the alarm. The Owners Corporation would not be in breach of the Environmental Planning and Assessment Regulation if an individual lot had not replaced their smoke alarm if it has passed its use by date and this would not affect the Owners Corporation’s strata Insurance. What would happen if an owner didn’t replace the batteries? I imagine the mother of all personal injury lawsuits! We need only to look at the drivers for change elsewhere e.g. The Childers Palace Backpackers Hostel fire 23rd June 2000 where 15 people lost their lives forced the Queensland Government to introduce the toughest and ‘best practice’ Fire Safety requirements in the country. The timber hostel did not have working smoke detectors or fire alarms. Another example of what happens when smoke alarms are not maintained or tampered with is the Slacks Creek Fire in 2011 south of Brisbane. 11 people died in the worst residential house fire in Australia. When the fire started, no smoke alarms were functioning. The alarms had been disabled because they caused too many false alarms. Less than 15 minutes later, the house was a shell and eleven people had died. Had working smoke alarms been fitted, most lives would have been saved. 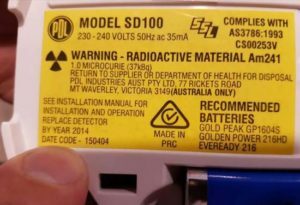 This is why Queensland introduced a requirement for Photoelectric smoke alarms to be fitted so that this type of preventable disaster would not happen again. Ionization alarms are not good at detecting fires. They ‘feel’ for the fire, whereas Photoelectric fire alarms ‘see’ the fire by detecting visible combustion particles. They won’t sound an alarm when the toast is burnt or shower steam escapes but they will sound an alarm where there is a dangerous, smouldering fire! Research shows that both have comparable response times in “fast flame” fires, but photoelectric alarms respond over 15 minutes faster to a smouldering fire. In one study, the only time the ionization alarm was quickest was in detecting burning toast! Most fires happen in the middle of the night when you’re sleeping – you may only have a few minutes to wake up and get you and your family outside. Most fire deaths are the result of smoke inhalation rather than from burns, another good reason to make sure this life-saving device is working. Are you interested in more information about smoke alarms in strata units NSW or information particular to strata legislation in your state or territory? Visit Maintenance and Common Property OR NSW Strata Legislation. Share your thoughts about smoke alarms. Have a question or something to add to the article? Leave a comment below. The strata fire services contractor did the annual fire safety inspection and test. My smoke alarm is over 10 years old so needs replacement. I understand I must hire and pay a licensed electrician to replace the smoke alarm with a new one, and provide the strata with a compliance certificate. Do I need to hire and pay a fire services to assess the new smoke alarm, and complete AFSS? Firstly, there is actually no requirement to replace smoke alarms if they are over 10 years old. This is a requirement under AS1851, which is not a requirement (in NSW – if you are not in NSW, then it may be required). Secondly, if you undertake the replacement, it should be completed by a ‘competent’ person as defined in the EP&A Regulations 2000. This will avoid having another person go to test the smoke alarm. This certificate will need to be issued to your maintenance contractor and/or Strata Manager as it is required for the AFSS. AS 1851 -2012 details the requirements for the replacement of the Smoke Alarm where the service life is exceeded. Whilst the Standard is best practice it is not mandatory in NSW, however, if required a suitability qualified fire service contractor should be able to replace the Smoke Alarm and provide documentary proof of compliance. Hi Peter , I am a building manager for a complex in NSW. We have interconnected fire alarms in each unit monitored by a fire panel in each block. I have been informed that due to the fact they are interconnected that it is the owners corporation responsability to pay for their replacement … furthermore our fire certifiers have said it is now compulsory in NSW to replace these fire alarms after 10years regardless of whether they are working or not … is this the case? The answer is Yes it would be the Owners Corporation who pays for the replacement as they are part of an interconnected system. Yes these must be replaced every 10 yrs regardless if they are working or not. Just a quick note about the replacement of smoke alarms if over 10 years, this is a requirement under AS1851, which is not a requirement in NSW. I still recommend replacing it, but the Owners should be made aware that it is their choice. Succinct and valuable article Peter. Most topical. Thank you.